A patio is like an extra room. It connects the house with the garden, adding interest and practical space to both. 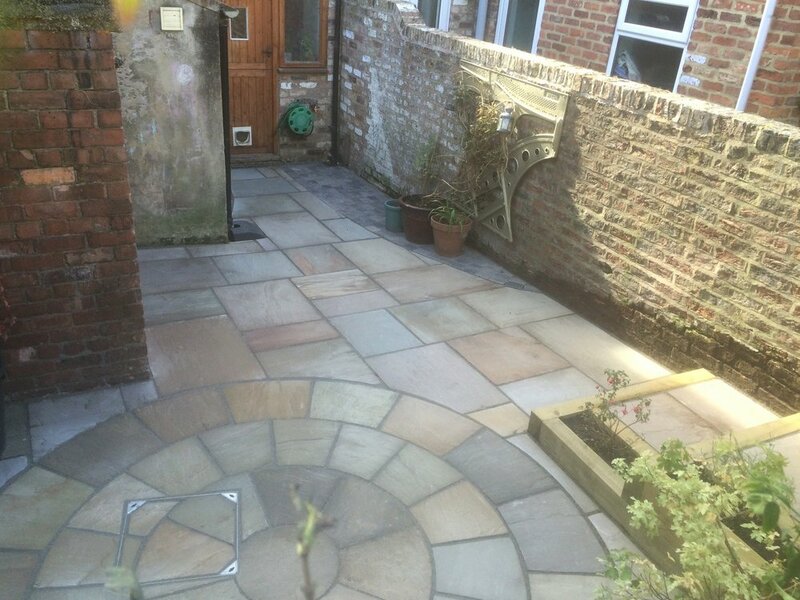 In planning the patio we can make use of the natural features and levels in your garden. A wide range of natural materials can be used such as Indian sandstone, granite or limestone. Reconstituted paving is also popular, and both come in various sizes and colours to compliment the existing landscape. For pointing I recommend using a resin bond rather than traditional cement. 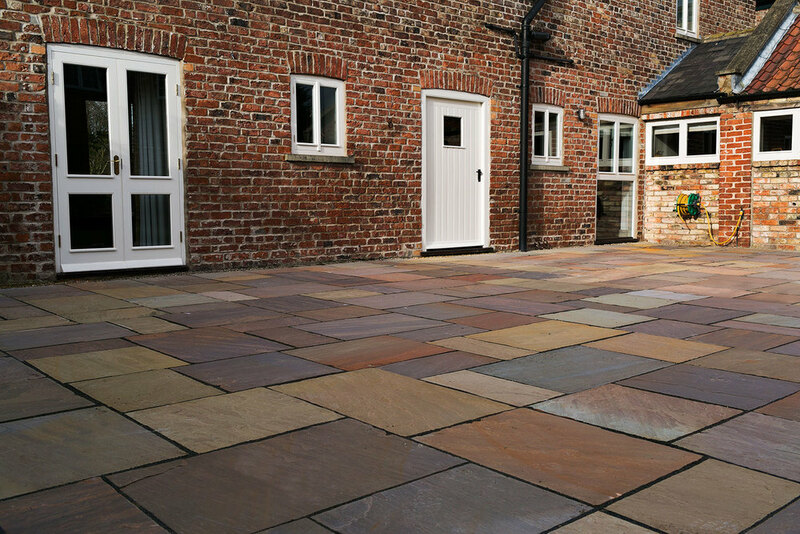 Although a little more expensive it lasts longer; it is permeable and so helps with drainage, and the dark colour contrasts well the paving. As border plants and pots become established, a patio should blend into the garden almost like a natural feature.